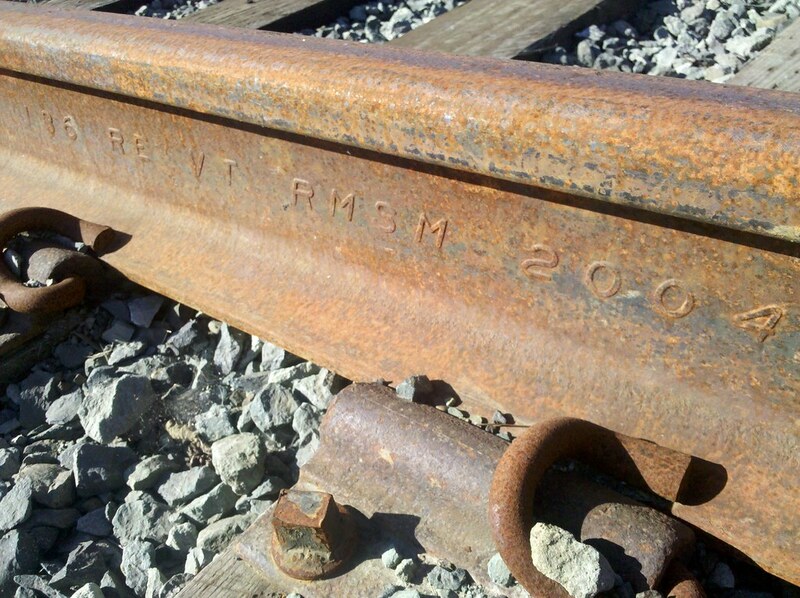 You can always tell how old a piece of rail is: it's written right on the side! Finally, another first post. Uh, one track mind? Yeah, but you gotta be Greek to read it. Interesting, now I’m going to have to look at the tracks by my house. No, don’t you’ll get hit by a train. This shot should come with a warning label “please do not attempt this at home” lol. 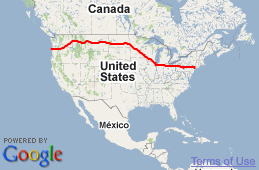 I don’t want to hear about any hobo’s from here getting run down by a train because they tried to do what Matt did. They need to invent non-rusting iron. Now THAT would be something! yeah, if they could do that then we could make kitchen sinks out of it. Or knives and forks & spoons, even pots and pans. if only we had these things now……. Didn’t know that. Thanks, Matt! Now wait a minute…why does photo link backwards to Overgrowth??? It needs to link forward to Rockaway…. Matt, you are suppose to be racing along the road! Instead you stop to look at railroad tracks? Well, glad you did. I didn’t know they had dates on them. You just keep on teaching us things…..
That’s the beauty of this trip. No deadlines. Having time to stop and see when the rail road was made/laid. Matt! You’re way to close to those rails man. You’ve got to be careful you don’t get hit. Hope they are tracks that aren’t used as much. And also, once again, there are those rails. You followed them your whole way. That would be something if you took them back to NY to see what was on that trail way. Hobo’s like to hang around railroad tracks! Dunno why. Also, that first number is the rail’s weight per foot…..In this case, every foot is 136lbs. It may not be the first number for every manufacturer, but the weight is on each section/length of rail.